HP unveiled today its brand-new entry into the laptop market – the HP Pavilion dv2. 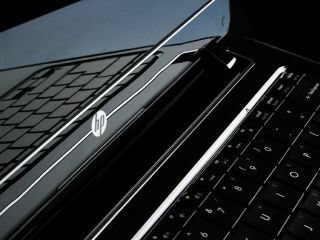 Despite its ultra-portability, budget-conscious price point and lack of an optical drive, HP insists its latest product is much more than a netbook. "You would be disappointed if you thought netbooks do everything that notebooks do. "They are a secondary product, and are not ideal for memory sapping jobs, such as content creation," explained Ben Perrin, HP's Consumer Business Development Manager for the UK to TechRadar. "HP felt we were missing was something in between. Something you would be proud to take out and about, but would do the job of a notebook." Enter the dv2: HP's ultra-thin offering which slots in between its HP 1000 netbook and its extensive notebook range, and is the first laptop to offer AMD's new Athlon Neo Processor. "The term 'netbook' has come to be associated with small screen, small keyboard, small processer," said Perrins. "You would be doing the dv2 an injustice by calling it a netbook. It's a notebook made ultra-portable." He continued: "The dv2 is not a netbook on steroids, but a notebook that is easy to sling in your bag and use on the go." Stay tuned for TechRadar's in-depth hands-on of the dv2, where we take the 'not-netbook' through its paces.